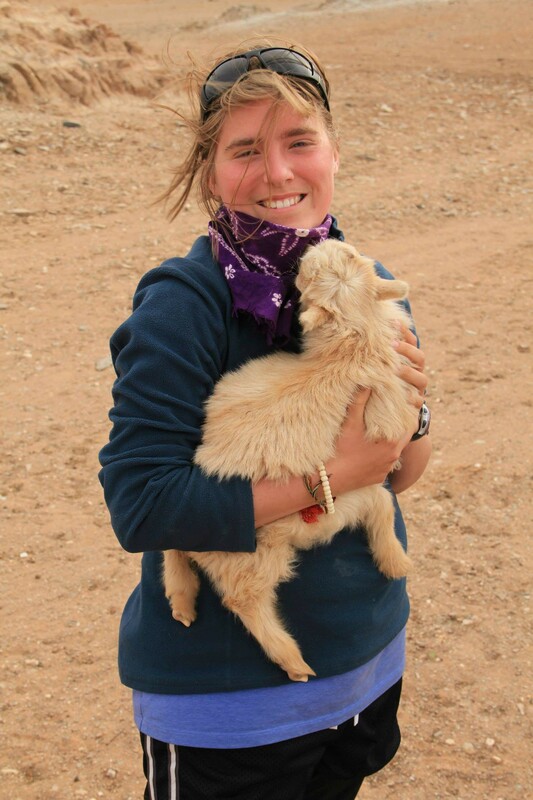 This is Alice Schalek and she is a badass. She was the only female military correspondent during WW1. Hello friends, here I am on my last night in Vienna. I am lounging on the couch/bed, listening to someone play guitar outside my window. Every evening there has been a different musician who performs in a cafe below our window. Last night, the performer was a Spanish woman with a very rough voice. I’ve enjoyed my time in Vienna. We stayed in the Museum District and this part of Vienna is full of hip artists. There are many galleries and chill cafes to drink coffee or beer at. I also really like how bike friendly the city is! There are bike trails all over the central Old Town District and bike lanes on almost every major road. The first night in town, I ate Wienerschnizel in a local biesl (small restaurant). Before this moment, I actually had no idea what wienerschnizel was. I knew it was super Austrian, so I ordered it and was pleasantly surprised to find that it’s fried thin cut veal. It was delicious. The moment even got 2X better because a man in lederhosen walked by. At that moment, I knew I was in Austria. After dinner, I heard there was a film festival happening at Wien Universitat, so I walked on over to find lots of food/drink vendors and a large amphitheater in the park. I got a lager, found a nice spot in the amphitheater, and watched a recorded performance of a British performer singing American songs. 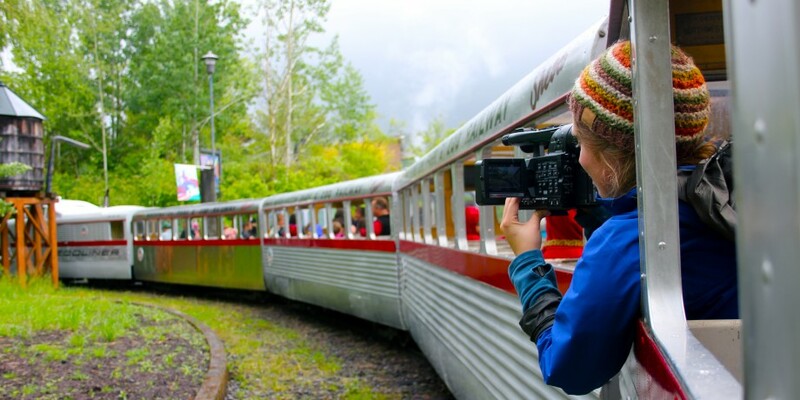 I liked the atmosphere, everyone was laughing and smiling. I smiled too and drank my beer. The next day, Dad, Jamie, and I walked to Old Town and visited the famous Saint Stephen’s Cathedral. On the way, we appreciated the beautiful architecture, especially the historical museum buildings and palace. The old buildings have now been converted to fancy stores, such as Versace and Banana Republic, but the history is still there. We found the cathedral and walked inside to find a catacombs tour starting in 15 minutes. Jamie and I knew we had to do it, when else would we have the opportunity to go beneath a Cathedral? The tour started in the tomb room, where all the bishops are entombed. There were bronze and clay busts of each person buried there. It made me wonder what these men were like back when they were alive. Some looked happy, but some looked mean and nasty. Maybe they had their bust done on a bad day? The next room was really interesting. It had the organs of the Hapsburg family in bronze tins, these bronze tins are filled with alcohol to preserve the organs (their hearts are in the Augustinian Church nearby). The next room had the tombs of the Hapsburgs, the central tomb is of Maria Theresa and Franz Joseph I. I can’t believe I was able to be inside the tomb room with all the Hapsburgs, such a cool experience. 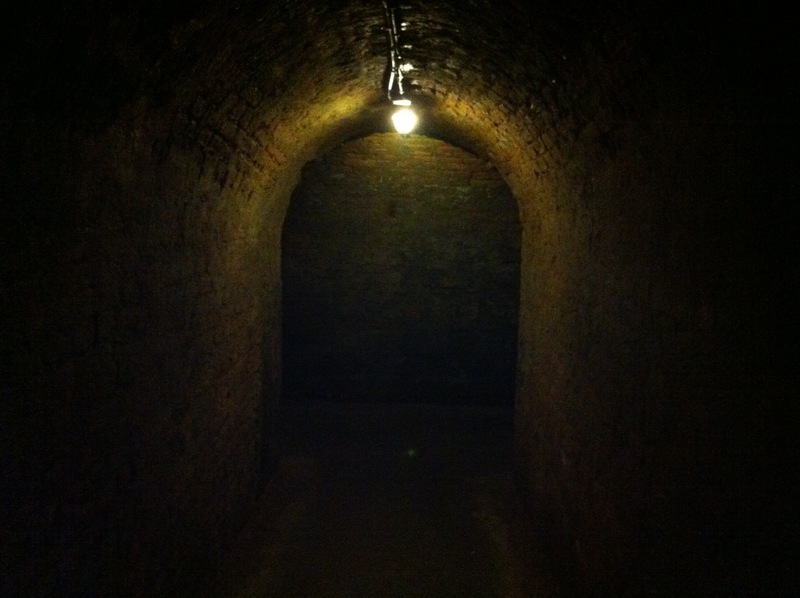 We were then ushered deeper into the catacombs. The nice stone arches that had been above us turned into low ceilings of brick. We were told we had left the Cathedral grounds and were underneath the square. We passed several “windows” that were pitch dark, but if you flashed a light there would be piles of bones or tombs. One of the rooms was where normal people were buried, people who wanted to be near the cathedral after death. One room had human bones that reached the ceiling. We were told that was where plague victims were thrown into. We even passed by a tunnel in the floor where you could see that people threw dead bodies into it because there was a large pile underneath the hole. Creepy. Jamie and I had a great time in the catacombs, definitely a must see for anyone who comes to Vienna. The Ferris Wheel from within the carriage. 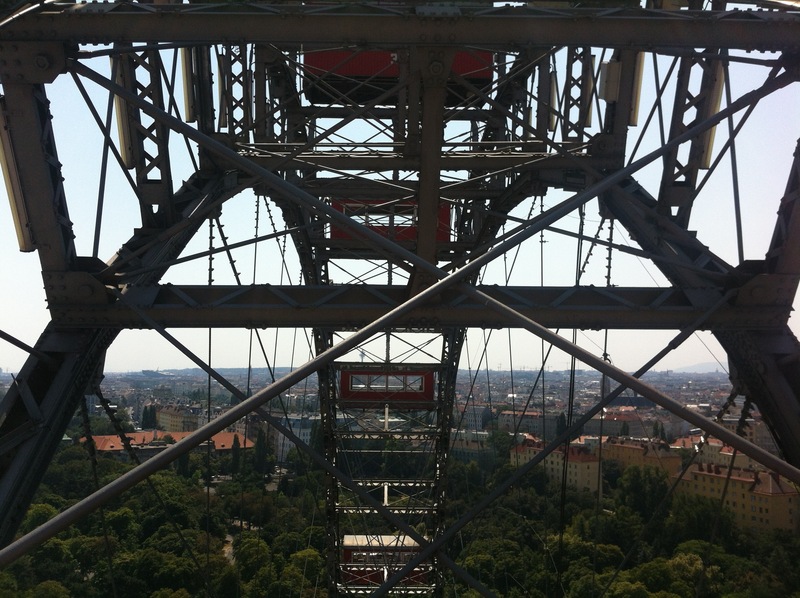 The next day, we decided to do a bus tour to the Prater, a famous park with a historic ferris wheel. We learned some info on the city and then explored the park. It ended up being an amusement park of sorts, I felt like I was at the Minnesota state fair! We found the ferris wheel and rode it. We got a great view of the city. 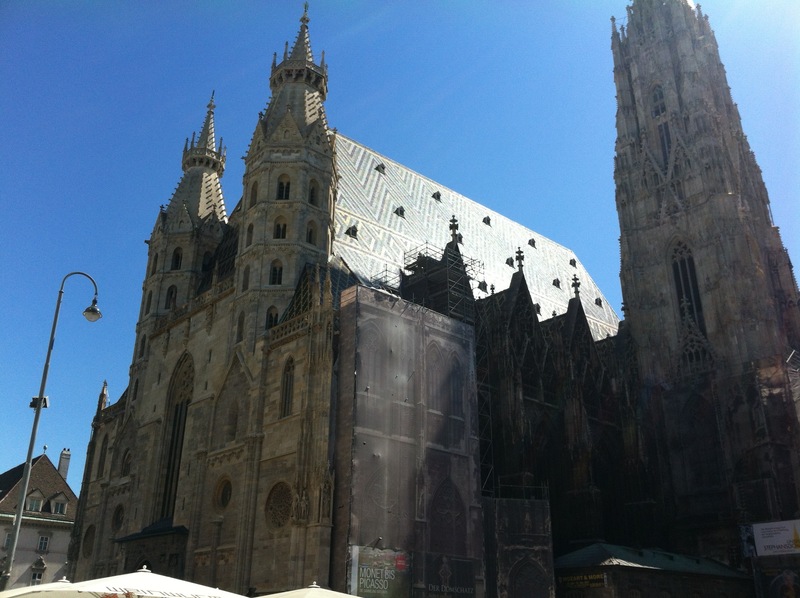 I learned that after the bombings in Vienna, almost all the prominent buildings burned to the ground. Well, the ferris wheel carriages may have burned, but the ferris wheel was still turning after the air raids. This inspired some people to rebuild Vienna. My Dad and I also went on a swing ride that took us well above the skyline. I enjoyed the wind betweens by toes and the view, but I think my Dad was scared the whole time… (sorry Dad!). 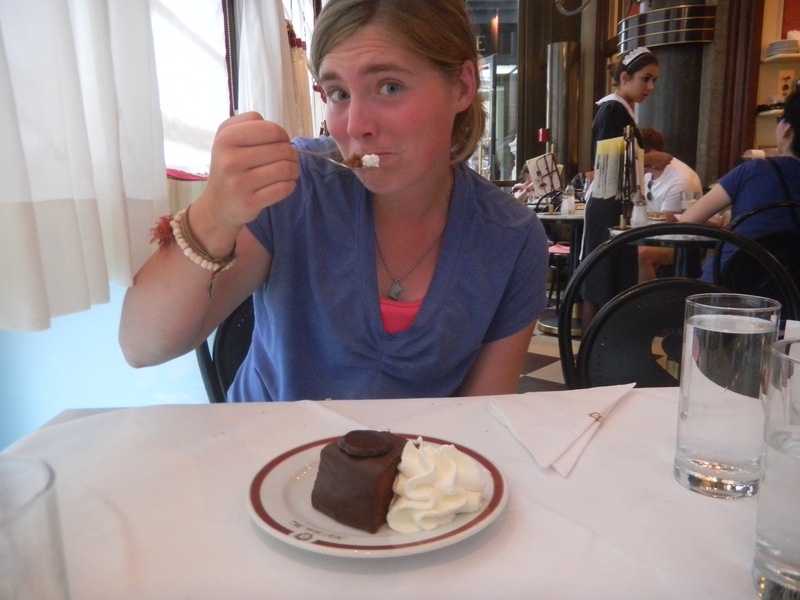 After the park, we ate lunch at the world famous Sacher Cafe (I’d never heard of it), and ate world renowned chocolate cake. It was pretty darn good. 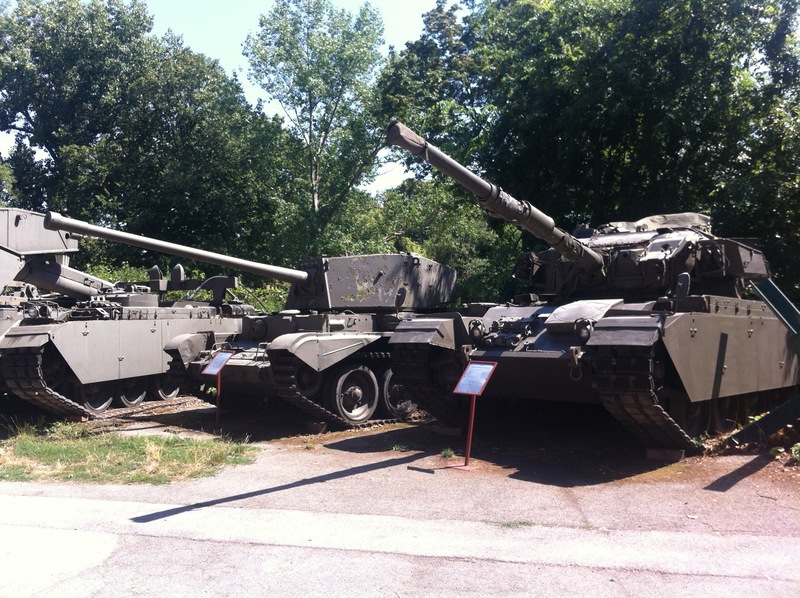 Today, we went to the Military History Museum. I wanted to learn about Austria’s WW1 and WW2 history and I got to see really cool military memorabilia from the 1500’s. I spent 3 hours listening to the audio guide and looking at all the history. There were gigantic paintings showing the battles of the 30 years war and the Napoleonic wars. Mostly what I learned is that Austria has a very long losing streak. Austria has spent a majority of its life in civil or foreign strife. Not only did Serbia, Germany, France, and Italy overtake it’s lands, but the Austrian people have been conflicted since the 1600’s, so civil war was a common problem. My favorite part of the exhibit was definitely the Franz Ferdinand/Sarajevo room and the WW2/Nazi regime room. 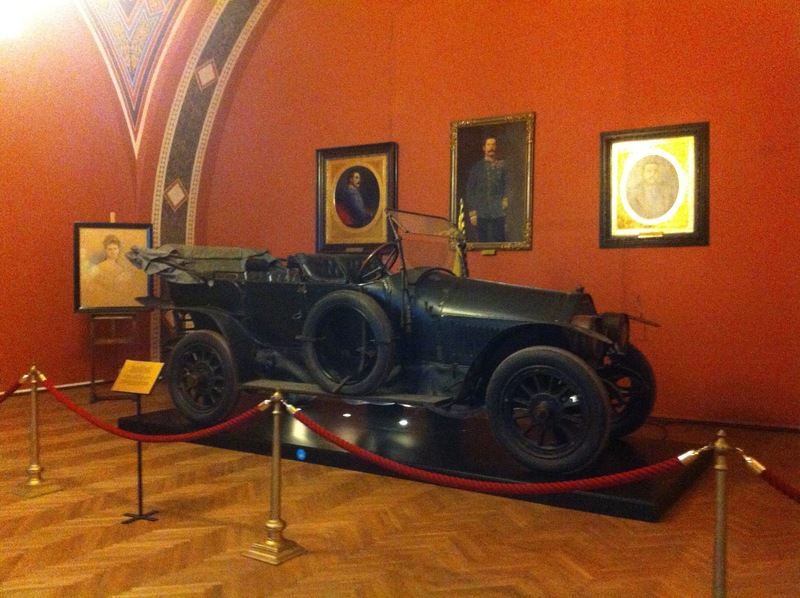 I saw the car that Franz Ferdinand and his wife were assassinated in; they also had the blood stained uniform. There was a picture in the room of Franz and his wife before the parade started. They seemed so happy. It saddened me to know this was the last picture ever taken of them alive. The WW2 room was filled with Nazi memorabilia. Lots of propaganda posters and uniforms. Even tanks and letters from Hitler. I learned that Austria was the first country to fall under Hitler and that the Austrian people were pressured into joining the Nazi army. Many people were disgusted by Hitler’s ideals, so the countrymen split in half; 1 side for Nazi Austria, the other an underground group fighting for the allies. What an interesting story. The vehicle Franz Ferdinand was shot in. The rest of the day was very hot, so Jamie and I went on a short walk and then I spent the rest of the day writing in my journal and doing this. Now it’s pretty late. I must get to bed to catch my plane to Paris. How exciting!